Click on the company information below to customize your sell sheet. Then click print or e-mail. 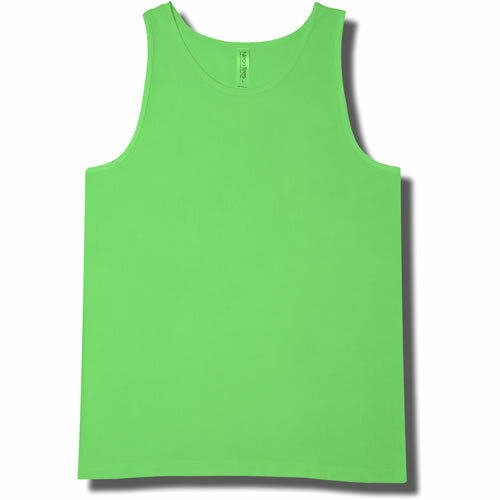 Adult (unisex/men's) tank top is a 6.1 ounce 100% pre-shrunk ringspun cotton. Features side seams, double-needle stitching on bottom hem for durability and bound-on self-trim around neck and armholes for comfort.